We proudly bring you these next 6 slots from Netent, Betsoft and MicroGaming! We bring you only the best games from the top developers Netent, Betsoft and MicroGaming. If you’re missing Christmas, in the mood for a theme park or a fan of motion picture themes then the next six slots are for you. 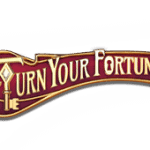 Nothing rekindles happy childhood memories quite like a theme park, which is why Netent introduces this theme in Theme Park: Tickets of Fortune. This is a 5-reel, 3-row and 50 fixed paylines slot where you can play for the chance to add to your fortune for up to 75,300 coins. The slot includes much of the wonder that you would associate with a theme park including rising balloons, a roller-coaster, ferris wheel, blinking lights and hot air balloon hovering high above the grounds. Included in the list of features is the roller coaster stacked wild, bonus feature and golden ticket scatter that is your ticket to the Theme Park Ticket Wheel. Here you can win one of six bonus game prizes which include the punch bag, sledge hammer, can tower, skee ball, fishing and duck shoot. 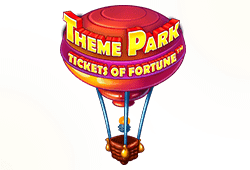 Play Theme Park: Tickets of Fortune Bitcoin slot for free. Some of the most memorable slots are the seasonal holiday ones and the frosty game Flowers Christmas Edition from Netent is a good example. That’s because aside from the obvious chance to win up to 75,000 coins, the frosty flowers theme of this 5-reel, 3-row and 30 fixed paylines slot will have you shaking in your boots. The symbols include five different anthropomorphised cartoon-style flowers that can appear as solitary or double so that they count as one or two symbols. 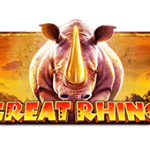 Triggered features included in this slot start with the Jack Frost wild symbol that can form its own payline where 3, 4 or 5 will credit you with 250, 1,000 or 5,000 coins. 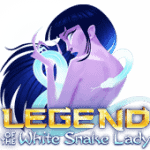 Frosty cloud scatter symbols can blow your way as single or double scatters with four or more unlocking anywhere from 10 to 30 free spins with multipliers ranging from two to ten. 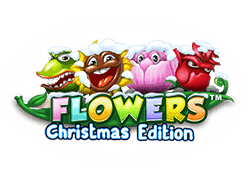 Play Flowers Christmas Edition Bitcoin slot for free. What seasonal holiday invokes nostalgic feelings more than Christmas? That’s why Microgaming adopts this theme into Ho Ho Ho which is a 5-reel, 3-row and 1 to 15 variable paylines slot with payouts of up to 15,000 coins on a payline! Included amongst the symbols is the red-nosed Rudolph, Santa’s sleigh, Christmas tree, turkey dinner, plum pudding, eggnog & cookies, gingerbread and candy cane. In support of the Christmas holiday, the Santa Claus wild symbol can appear on any reel and substitute for all the other symbols except for the Christmas present scatter. 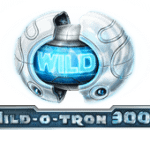 The wild symbol can form a winning payline with 2, 3, 4 or 5 on a payline paying you 5, 50, 1,000 or 15,000 coins! The Christmas present scatter can appear on any reel with 2, 3, 4 or 5 rewarding you with 1, 2, 20 or 60 coins. 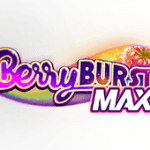 You can also win 20 free spins with three or more with 2x multipliers on all wins during the feature. The free spins can be re-triggered. This slot also includes a red/black card gamble feature for a chance at double or nothing. 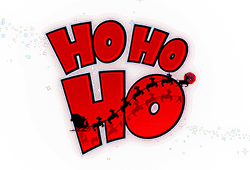 Play Ho Ho Ho Bitcoin slot for free. 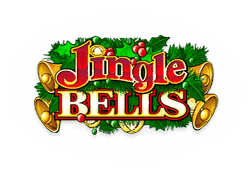 Jingle Bells from Microgaming is a 3-reel, 3-row and 5 fixed paylines slot that can help you ring in the Christmas season with up to 6,000 coins on a winning payline! There is also the bar, double bar, triple bar and Lucky 7 symbols. Though this slot does not have much in the way of features, there is the jingle bells wild which can substitute for all other symbols. 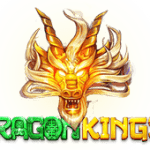 This symbol also represents the maximum payout amount of 6,000 coins when you play with 5 coins per payline, but 4, 3, 2 or 1 coins will also credit you with 4,000, 3,000, 2,000 or 1,000 coins respectively. 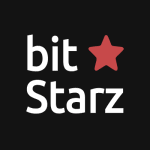 Play Jingle Bells Bitcoin slot for free. The brainchild of Pierre Boulle who in 1963 wrote the novel Planet of the Apes, it continues to inspire new movies about a world not ruled by humans. Netent has entered into a licensing agreement to adapt that story into this next video slot of the same name consisting of two parallel sets of 5-reel, 3-row and 20 fixed paylines. The slot includes two of the Ape protagonists/antagonists along with 6 human characters straight out of the films. To entertain and engage you the slot includes a wild that may appear as stacked. A unique feature attributable to this game is that when a reel on the left side (Rise) appears with completely stacked wilds then it is copied over to the same position on the right side (Dawn) of the reel. There is also either of the Rise or Dawn Bonus symbols that appear on the left or right set of reels respectively. In the Rise Bonus, coin prizes behind all of the ape and humans are rewarded. In the Dawn Bonus, all apes and humans become the same symbol. The game also has a Dual Feature randomly triggered where different regular symbols are selected to become the only symbol to appear for their respective sides of the two sets of reels. Any space not having these symbols is blank. The reels then spin and if you manage to collect another of the symbols then it too becomes sticky and you get another re-spin and you can continue to re-spin provided you collect new symbols. The game also includes a Free Spins Feature triggered by three scatter symbols on the left or right set of reels. 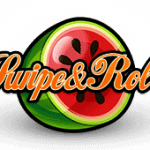 Depending on which of the two Free Spins you trigger you can also get multipliers and extra spins. 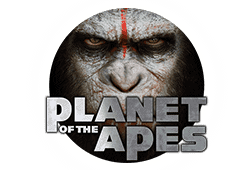 Play Planet of the Apes Bitcoin slot for free. Played on 5-reels, 3-rows and up to 30 variable paylines, After Night Falls from Betsoft is based on the theme of a jewellery thief and the detective determined to catch him! While joining our detective on the mean streets, you can also collect up to 1,550,000 coins! The slot includes symbols like the detective, cat, jewellery box, surveillance camera, television, and bag of stolen jewellery. 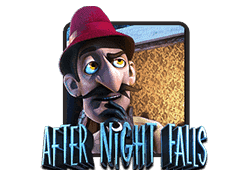 After Night Falls offers a great line-up of features starting with the wanted file scatter that can appear on any position with 3, 4 or 5 on any space awarding 10, 15 or 25 free spins played out in the detective’s office. The game offers you 60 coins if you only manage to collect 2 free spin scatter symbols on a spin. The magnifying glass moving wilds can find its way on any reel and create free spins in the process until it drops off the screen. If you have the fortune of landing three or more criminal symbols on any space then you are automatically whisked away to the 5 Rooms Click Me Feature where you steal coins from apartments until the collect message appears to end the feature. The game also contains a Stacked Collapsing Wins Feature which rewards you with 3x the symbol payout whenever you collect a completely stacked reel of that symbol. The second bonus feature is the Granny Bonus Feature where you must help the detective collect evidence to catch the thief who has stolen all of granny’s stuff. 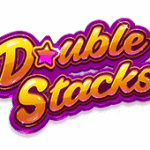 Finally, the Double Up Feature gives you the chance to play for double or nothing by guessing the outcome of the coin toss. 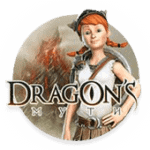 Play After Night Falls Bitcoin slot for free.